Free areas are an important layout feature in aquascaping, which can be perfectly accentuated by using decorative sand. Decorative sand is available in different grain sizes and colours. It can have a decisive effect on the overall impression of an aquascape. A feeling of natural beauty and calmness can be passed on to the onlooker when the sand or gravel is used in the right way. For maintenance work on sandy areas in a tank, we recommend the use of a sand flattener. With this tool, you can give your sandy areas structure and clean them. Sand or gravel - that is the question. 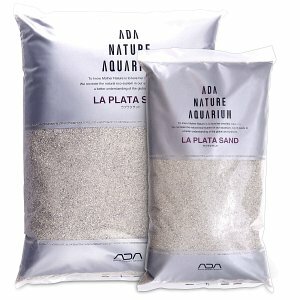 Sand and gravel haven been in use for a long time in aquaristics as substrates in aquariums. 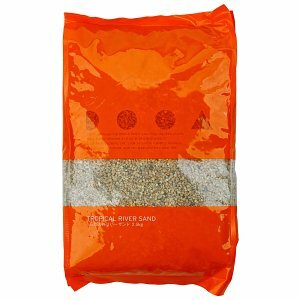 The difference between sand and gravel is in principle fluid and depends primarily on the average grain size. Sands are divided into fine, medium and coarse sand with grain sizes from 0,02 to 2 mm. Coarser material with a grain size of up to 63 mm is referred to as gravel, which is likewise divided into fine, medium and coarse. 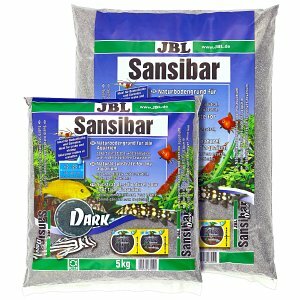 When buying aquarium substrate you should always keep in mind, that there is a difference between completely natural substrates and those that are specially colored and coated with synthetic resin. 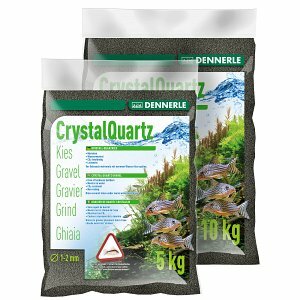 The completely natural substrates include, for example, the classic quartz gravel from Dennerle, which is available in many different colors and behaves neutrally in the water, meaning that it does not emit anything into the water. Although natural substrates are usually prewashed, they may still contain dust due to their origin and of course due to possible friction and abrasion during transport. If those substrates are used, it is advisable to pre-clean it thoroughly by rinsing it with water. Usually thos sand and gravels behave neutrally in water. There are, however, a few exceptions which may cause the water to harden if e.g. the substrate contains lime. Should the substrate have water hardening properties, it will of course be noted in our webshop's product info. Unlike soil, sand and gravel substrates are completely free from nutrients. 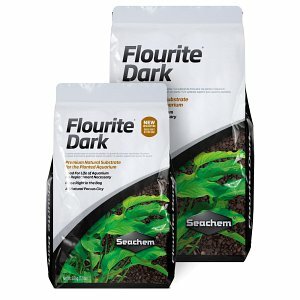 As an exception to that rule, the Flourite substrates from manufacturer Seachem need to be mentioned, offering sand and gravel substrates enriched with iron, trace elements and macronutrients. Aquatic plants profit from the supply of nutrients contained in the substrate, which thea are able to take in via their roots. The article Seachem Flourite at our Aquascaping Wiki presents these substrates in more detail. As contrast to the dark substrate, mostly bright sands are used as decorative zones or paths in aquascaping. 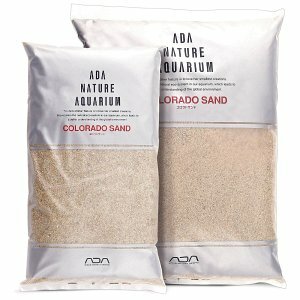 For the most natural impression possible, the aquarium designer often uses different grains of the same type of sand. This can be relized particularly well with the sand & gravel varieties of the manufacturer ADA. 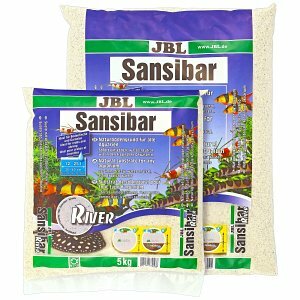 To scape and care for these decorative substrates, special tools - called Sand Flatteners - are used. 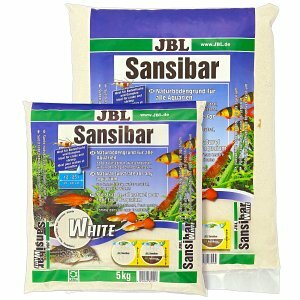 Many tropical aquarium fish like cories, discus as well as several species of South American and African cichlids prefer sandy substrates with finer grain sizes as they know them from their natural habitats. Often these fish will rummage through the substrate on the hunt for food, or they build hideouts and spawning grounds. In an aquarium, these animals therefore feel most comfortable with sandy substrates.